A beautiful spring morning for an outing of the Southampton Urban Sketchers. 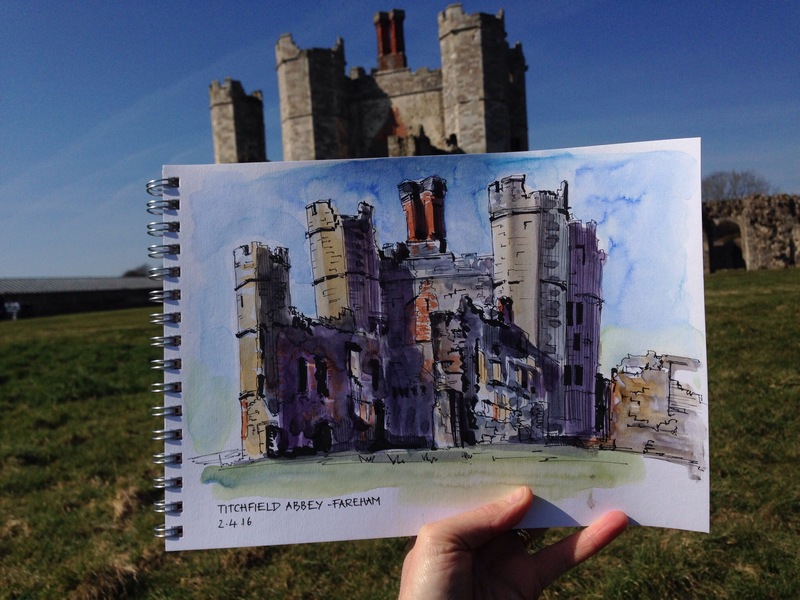 We all sat in a field surrounding the ruins of Titchfield Abbey, Fareham. It was great to see the variety of work produced! Here’s my work, pen and ink with watercolour, one hour. Nice one. You enjoyed doing that and it really shows. This is just lovely. I think you have captured the building’s personality as well as its image. I also love the purple. With the reddish color. Just great. we’re looking forward to an exhibition on Tuesday!